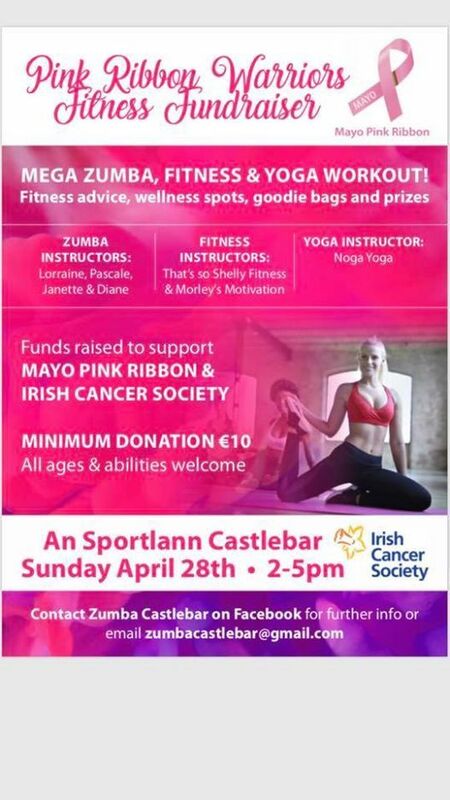 A group of local fitness instructors have come together to hold a monster fitness workout to raise vital funds to support Mayo Pink Ribbon and the Irish Cancer Society. 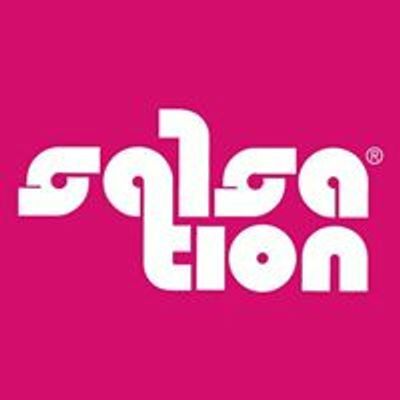 The three-hour event will see four Zumba instructors from across Mayo, Castlebar Salsation & Zumba, Pascale Giguere, Janette Webb Zumba and Diane Brady bring you through four different styles of dance fitness. Diane will use weights in her session to demo Zumba Toning. 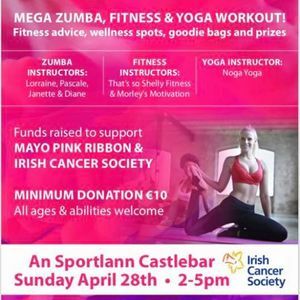 Michelle from That's So Shelly Fitness and owner of The Health Hub in Swinford along with Melissa from Morley's Motivation will demo their individual styles of fitness and will chat to participants about their fitness goals and fitness aims. Both are qualified in many areas of fitness instruction, diet and personal training. The afternoon will also sample Pilates with Natalie so bring an exercise mat. The afternoon will end with a calming cool down from Noreen of Noga-Yoga. Noreen’s unique style and relaxation techniques will stretch participants out and leave all feeling fresher and re-energized. Each instructor will take 15-20 mins each on the stage. Come for them all or come and sample one or two, the choice is yours. Carina from It's a Natural Choice will have a stand at the event and will have delicious juices to sample made freshly during the event. Suzanne from Anatomy Physiotherapy will also be available to speak to attendees. Suzanne is a physiotherapist and specialises in women's, men's and pelvic health. This event is for all levels of fitness, you can go at your own pace throughout. It is an ideal sampler if you are looking for a new fitness regime or just want to enjoy an afternoon of fitness fun. The event is for men and women. Boots have donated goodie bags that will have treats from various businesses locally. Lots of spot prizes and fun to be had.